Home amazing Who Invented The Pinball Machine? Long before video games took over arcades, there were pinball machines. 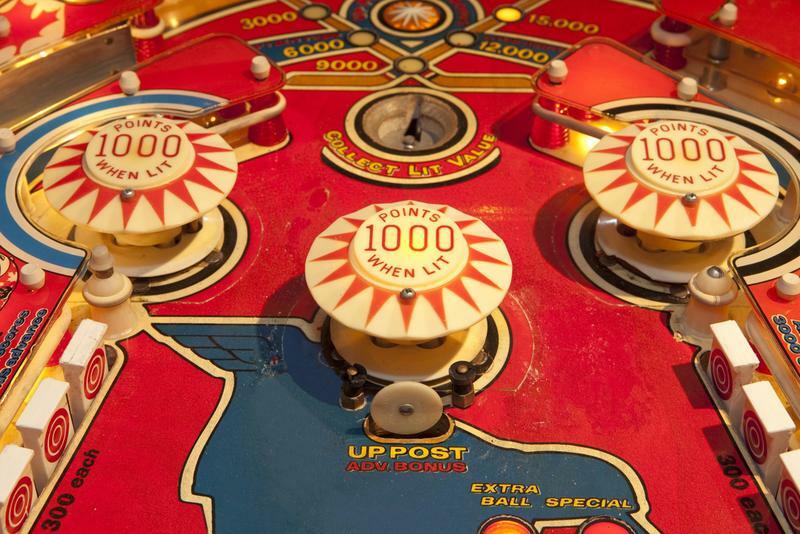 It may surprise you to know that pinball machines have a long and interesting history. In fact, they were once considered so sinful that they were banned in most major cities. Let’s look at the history of pinball machines, from humble wooden games to symbols of youth rebellion to today’s cacophony of lights and sound. As early as Shakespearean times, people played with small, wooden tabletop games, called Bagatelles. 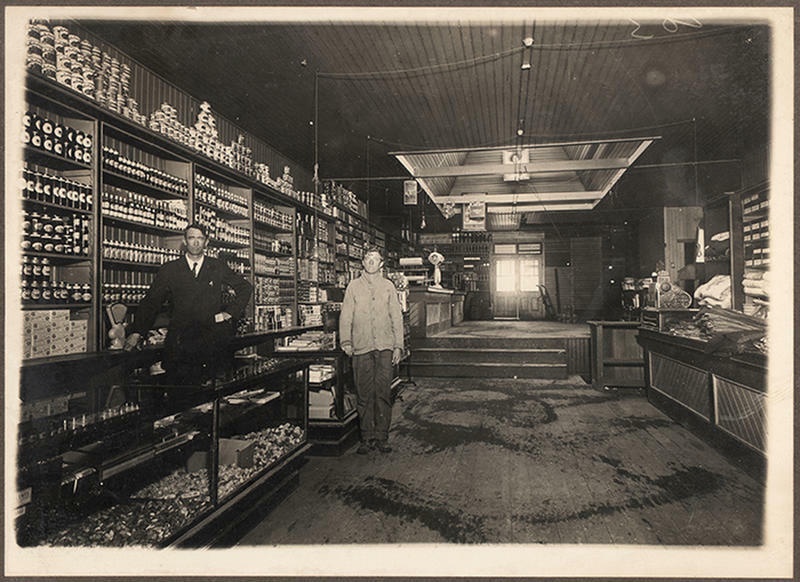 The object of the game was to roll your ball down the sloped surface, through pegs, pins, and other obstacles, and into holes that had been cut into the wood. Each hole was assigned a number and the player earned points for each hole their ball found. Bagatelle was a popular parlor game for centuries. In 1871, Montague Redgrave, an avid Bagatelle player, and inventor received a patent for his updated, improved version of Bagatelle. He kept the tilted playing surface but added a spring-loaded ball release and changed the ball size from golf ball-sized to marble-sized. 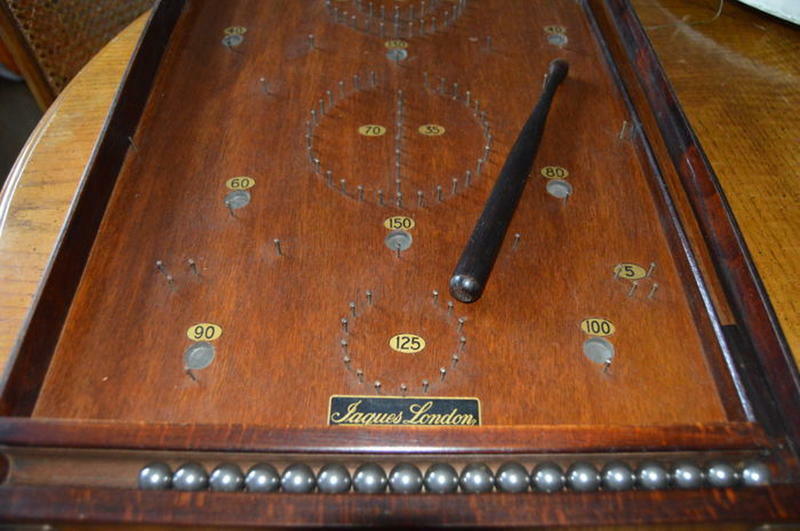 The game remained a tabletop or countertop game until 1932. At that time, a pinball manufacturer started making free-standing pinball machines. This innovation came on the heels of another one—one that made the game different from its predecessor. 1931 was a banner year for pinball, with several different manufacturers making unique models of pinball. Raymond Maloney developed a coin-operated mechanical pinball game, called the “Bally Hoo.” The game was so well-received that Maloney founded the Bally Company. That same year, D. Gottlieb & Company was commissioned by Bingo Novelty Games to make a mechanical tabletop game. D. Gottlieb & Company made another pinball game, call Baffle Ball, as both a countertop model and later, a stand-alone model. 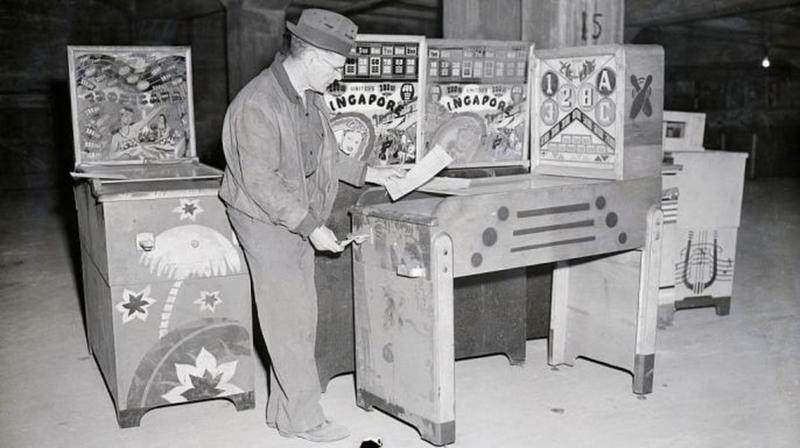 In 1935, they added a version of the coin-operated game that gave winners a payout. 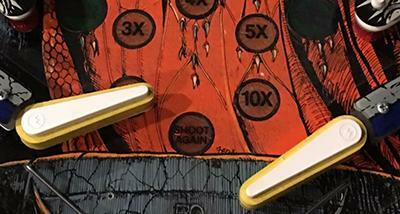 One of the biggest complaints of early pinball games was that the ball would get stuck somewhere on the board. Players could shake their ball loose by rattling, lifting, or shaking the machine. But this caused damage to the games. In 1934, Harry Williams built a pinball game with a built-in tilt mechanism, the first of its kind. 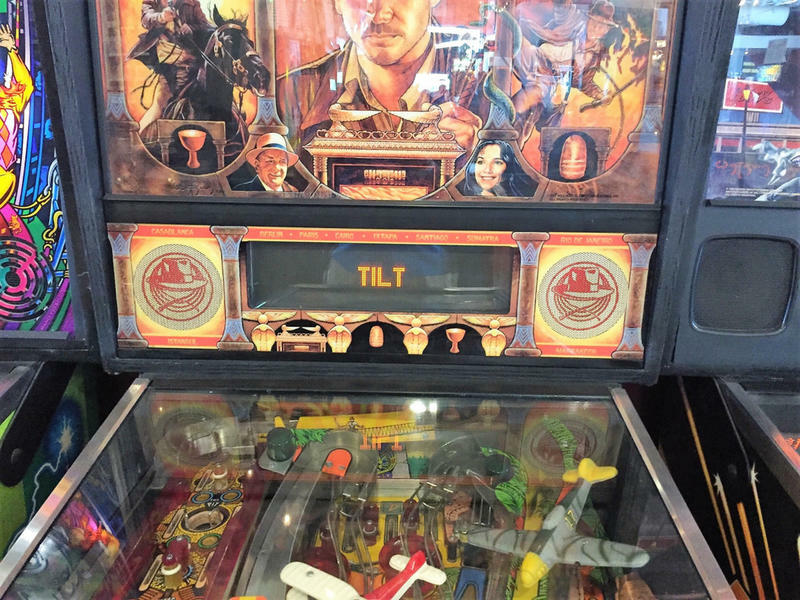 Tilt was a game changer in the world of pinball. 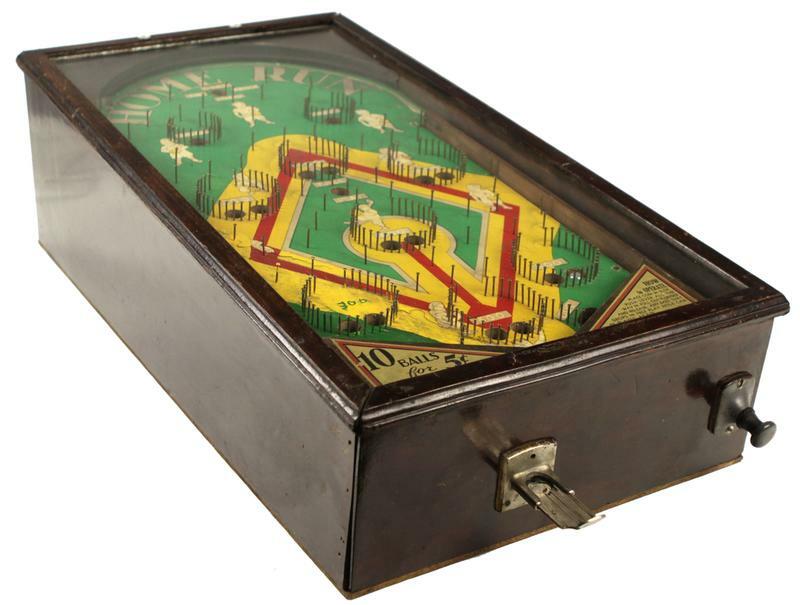 In the mid-1930s, pinball machines went electric. The addition of electricity to the games meant that lights, buzzers, music, and other sound effects could be included on the machines. The beeps and dings that we commonly associate as the iconic sounds of the pinball machine first appeared in the electric pinball machines made by Harry Williams. Not to be outdone by the advances made by Williams, Maloney of the Bally Company went to work improving his own pinball games. He added bumpers to the game so the ball would bounce around more. The bumpers gave the player more playing time and it opened up opportunities for the ball to move unexpectedly. Later, in the 1940s, Harry Mabs invented the flipper paddles that are still used to maneuver the ball around the board. In the 1940s, pinball machines were seen as wicked and contributing to the moral decay of young people. Most of the major cities in the United States—Los Angeles, Chicago, New York, and more—banned pinball machines. Pinball machines were labeled a form of gambling because the coin-operated games offered payouts to the winner. Some of the laws banning pinball machines claimed that the machines enticed and robbed impressionable school children out of their lunch money. Other communities believed that the pinball industry was controlled by the mafia and, therefore, playing pinball was a gateway to organized crime. 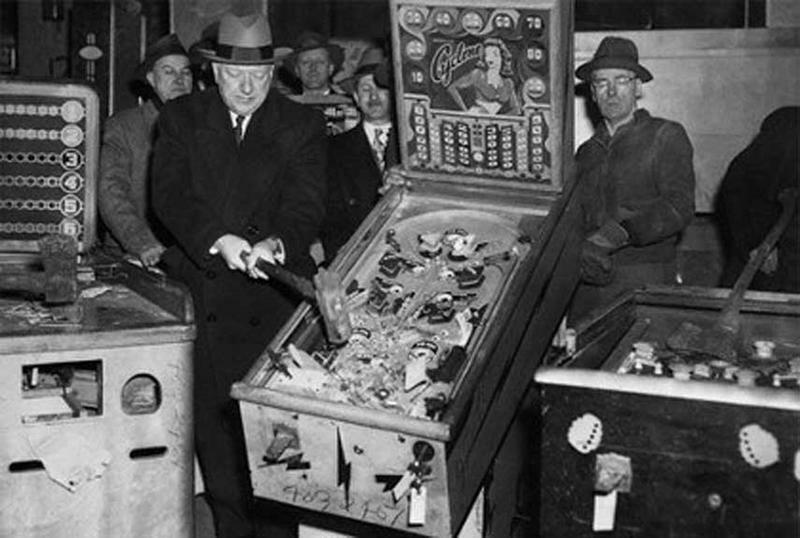 In New York City, the problem of pinball playing was considered to be such a threat to society that, just a few weeks after the Japanese bombed Pearl Harbor, the mayor of New York, Fiorello La Guardia, formed a police task force to rid the city of the pinball menace once and for all. Arcades were raided and thousands of pinball machines were confiscated, smashed with sledgehammers, and tossed into the Hudson River. The undiscovered pinball machines were hidden away but still used. They could be found in some of the seedier bars and taverns. When The Who’s rock opera, Tommy, came out in 1972, pinball was still illegal in most cities, therefore the lead character was a non-conformist and rebel outlaw, despite his disabilities. 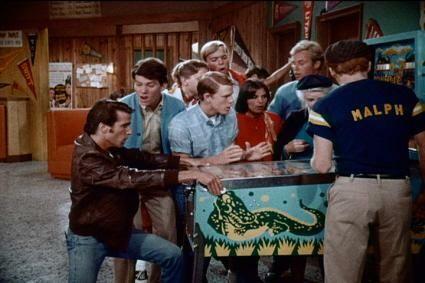 When the sitcom, Happy Days, debuted, the show’s rebellious bad-boy, The Fonz, was shown playing pinball in the opening credits, probably to establish him as the tough guy on the edge of the law. Numerous subtle references to pinball and youth rebellion can be seen in TV shows and films of the 1950s, 1960s, and early 1970s. 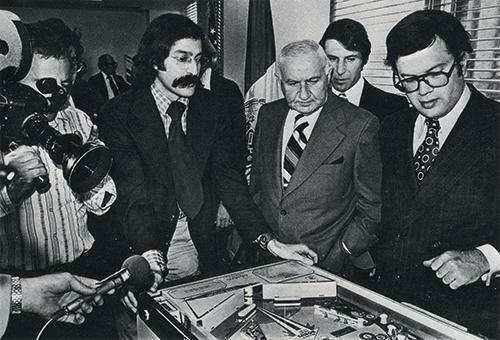 The City Council of New York City was finally convinced to take another look at pinball machines in 1976. Advocates of the game called in pinball wizard, Roger Sharpe, to demonstrate to the council that pinball was a game of skill not a game of chance. Journalists and council members crowded around Sharpe as he played. To hammer home the point that pinball is a game of skill, Sharpe pulled back the knob, but before releasing the new ball, he pointed—in a move copied from Babe Ruth—to the exact spot on the playing field and told the council members that he would put the ball at that spot. When he let go of the plunger, he skillfully guided the ball to the place he had indicated. 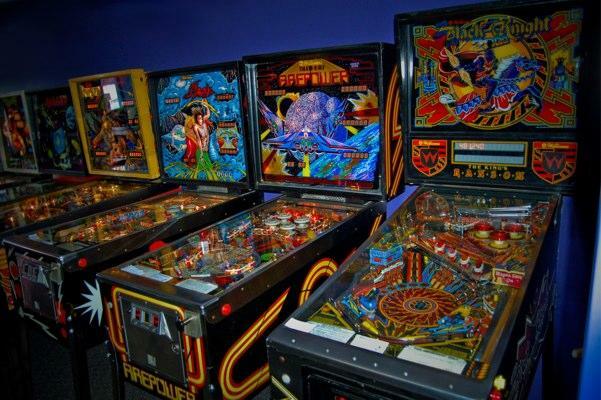 The council was convinced and the decades-long ban on pinball was lifted. 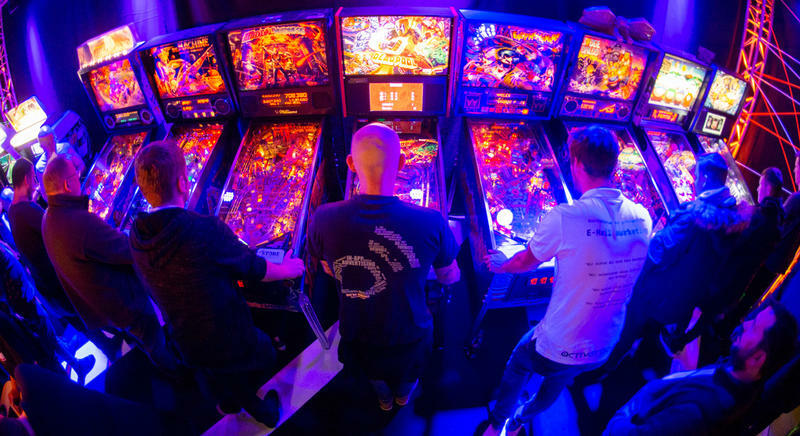 Today, many pinball games have merged with video games for a new, modern gaming experience, but there are still plenty of people who love the old-school pinball games. The ban on pinball, however, forced nearly all the pinball companies to go out of business. Today, the only pinball manufacturer in the United States is Stern Pinball, located outside Chicago.